Let’s just jump straight in, shall we? College is expensive. There’s no doubt about it. A lot of times, it seems almost unfair that alongside the worries of grades and post-graduation, we, as college students, have to also fret about how we’re even going to pay for higher education, much less stress over it. You may have been someone who looked at UCI’s tuition and immediately wondered: “How am I going to afford this?” Trust me, been there and done that. 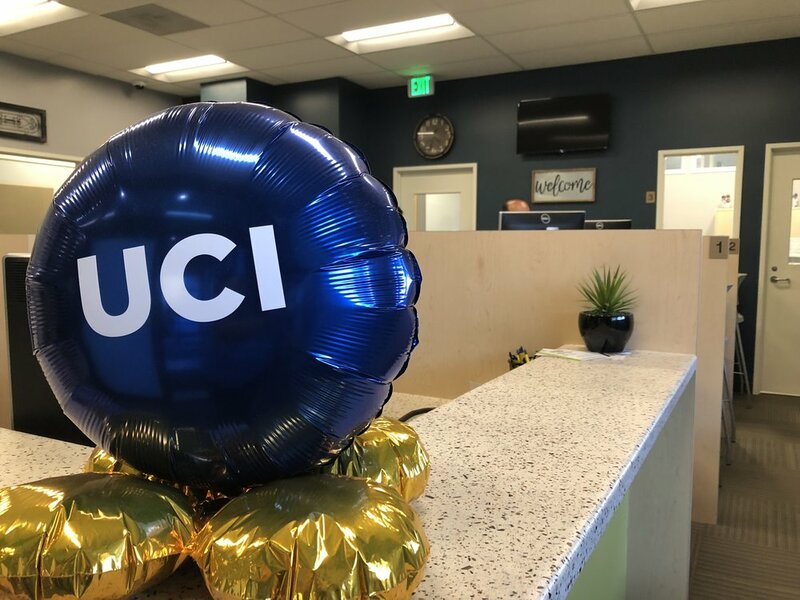 Luckily, there are other options within UCI’s Financial Aid and Scholarships that can help relieve both you and your parents’ stress and bank accounts as you begin your first quarter at UCI. When you first began applying into colleges, many of you have probably already filled one of these two applications. The FAFSA, or the Free Application for Federal Student Aid, is an online form that opens on October 1st and must be completed every year by the March 2nd deadline, in order to determine your eligibility for student financial aid from the state. What a lot of students don’t know is that the FAFSA also determines your financial aid package from the university as well, which includes work-study and grants. So to ensure that you are gaining everything that you are eligible for financially, it is super crucial that you complete your FAFSA on time every year. For many schools, including UCI, turning in your FAFSA after the deadline will disqualify you for any school grants and work study, which is basically throwing away free money for your education! Make sure to have your tax and financial documents ready (The FAFSA uses your tax files from 2 years prior), and make completing your FAFSA on time a priority. It can help you so much in the long run. For more information on the FAFSA, click here! For those who are undocumented or non-resident documented students, the California Dream Act will be the form for you. Available in both English and Spanish, with this online form undocumented students can still apply and receive federal aid, private scholarships, work-study, university grants and the Cal Grant if they are eligible. This form’s availability is also from October 1st to March 2nd and needs to be completed annually to receive yearly aid. Again, missing this deadline can result in disqualification for certain scholarships and grants so don’t procrastinate on this folks! Click here for more info on the Dream Act application. But wait, there’s more! Once you turn in your FAFSA or California Dream Act application, if you are eligible in terms of grade point average and financial need, you may also be able to receive the Cal Grant, which is essentially a grant from the state that you don’t have to pay back. There are three types of Cal Grants (A, B and C), and luckily, there aren’t separate applications for each one. Depending on your FAFSA/Dream Act responses, your GPA, and your colleges of choice, your eligibility will be determined and revealed to you with the rest of your student financial aid package. In your financial aid package, you may receive work study as a possible option to cover college expenses. Work study is typically a part-time job on campus which can allow your earnings to go straight towards your tuition. These campus jobs can vary from working in the library to the ARC to the food court and everything in between. In order to be considered for work study, you must show interest on your FAFSA/Dream Act application and it’s also encouraged that you complete the form as soon as you can since schools typically award work study on a first-come, first-serve basis. Having work study is a fantastic way to work and complete school simultaneously! However if you aren’t awarded work study, don’t worry. Students without work study can still have access to plenty of campus jobs. I, myself, am not a work study recipient and in my two years at UCI, I’ve had 4 campus jobs! Getting a job on campus is a great way to meet other students, gain connections and still earn money while doing it. Unlike many of the other options of financial aid that are out of your control, scholarships are completely up to you and probably one of the best ways to help lower the cost of college. Hundreds of scholarships can be found online, and some are usually posted in UCI’s Financial Aid office as well as throughout the various academic schools on campus. When searching for scholarships, look for groups or demographics that you are a part of, which could include (but is not limited to) your ethnicity, heritage, major/minor, career path, sports, passions and much more! Although they can be a bit time-consuming at first, you never know when your essay or ideas can result in a major reward. Scholarships are a year-round opportunity to help you pay for college and it’s never too late to start! UCI has their own page of available scholarships, click here to see it! When it comes to your finances in college, I understand how frustrating it can be. What I’ve learned is that being resourceful, asking for help, planning ahead and staying positive makes a huge difference. If getting an education is what you want, you can make it happen, and taking advantage of all the opportunities UCI has to offer is a great first step.